Welcome! Whether you want to break clays with your shotgun, shoot reactionary steel with your handgun, sight in a new scope or get great training in any of these disciplines, there is simply no better destination in the Dallas/Fort Worth area than Elm Fork Shooting Sports. They are a public range and no reservations are required. Try something adventurous or new by making your next corporate gathering one with meaningful leadership lessons, such as the importance of preparation, dependability, decisiveness, and continuous learning. Allow us to help you experience the thrills of bold firepower, heart-pounding excitement, and action-packed fun. 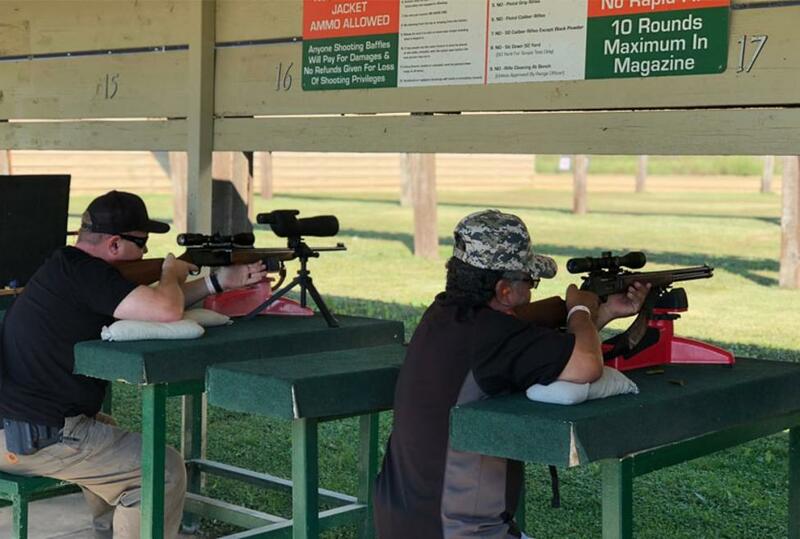 Elm Fork Shooting Sports combines the authentic shooting experience with the fun of corporate training.